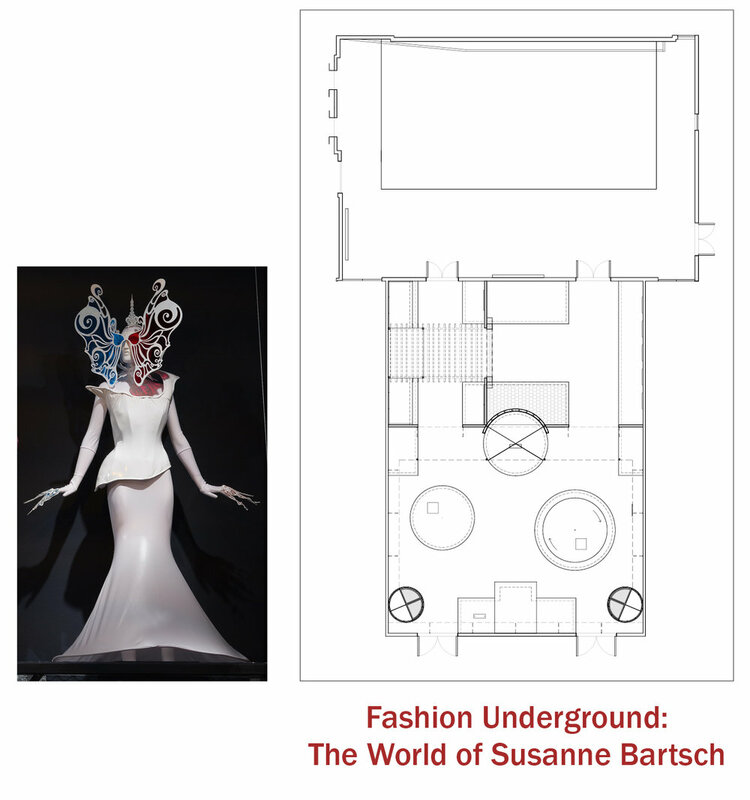 Designing a fashion exhibition exists in a category all its own and is unlike other kinds of standard design. Although it is similar to theater or set design, it creates a human scale environment that functions as both a backdrop and compliment to a narrative, story-line or concept but in contrast to theater, the actors, or objects are frozen and the audience is in motion. 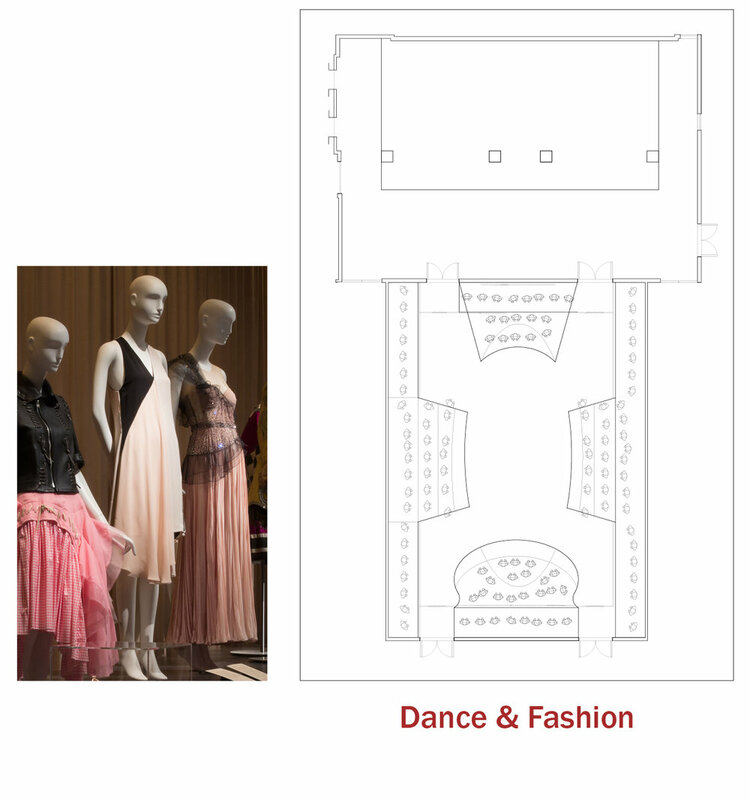 The following project pages represent a series of Fashion Exhibitions done for the same space at the Museum for The Fashion Institute of Technology in Mid-Town Manhattan where Ackert Architecture designs two exhibitions per year. 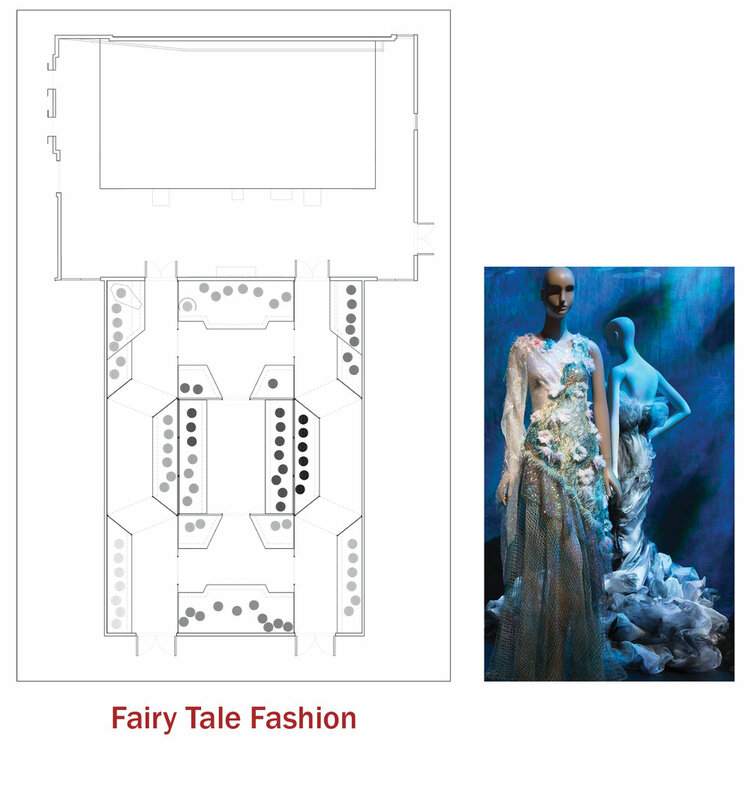 Click on thumbnails below to view each exhibit project page.